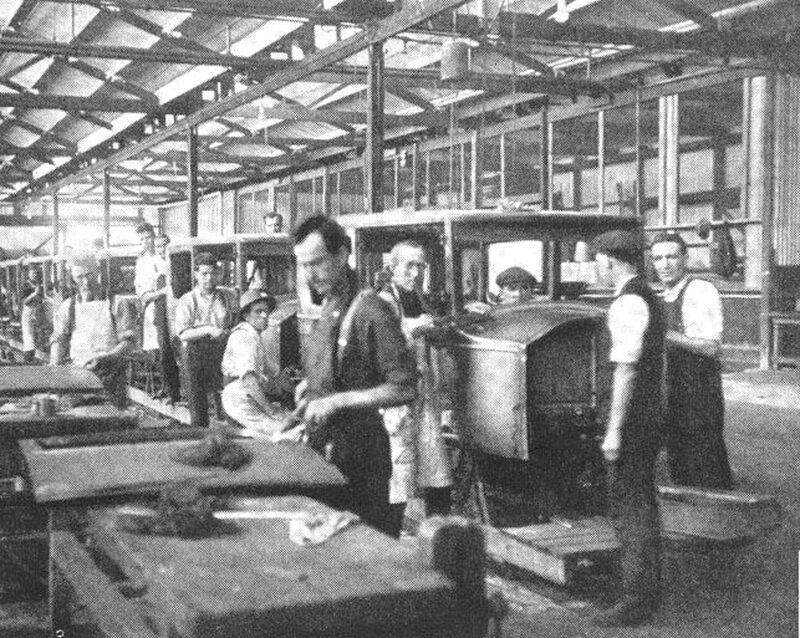 Production Line Methods have changed at Woodville! 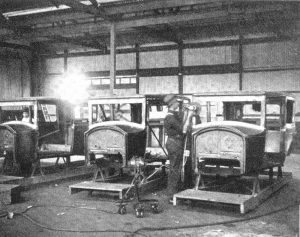 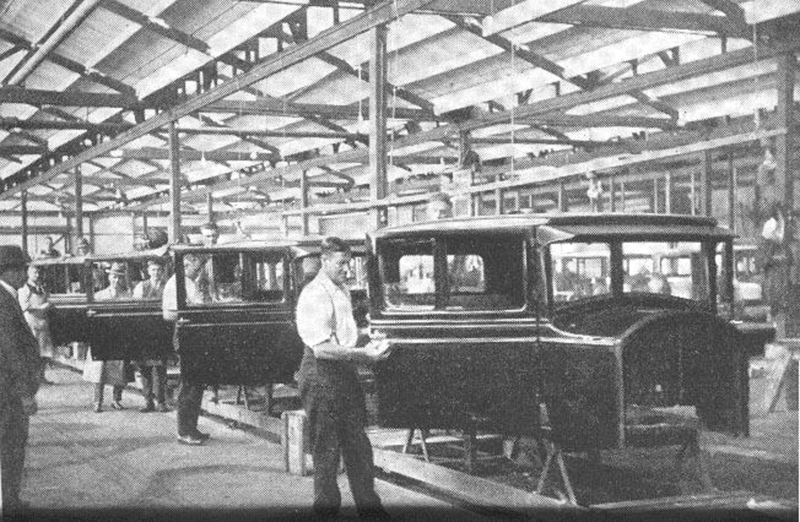 Two other photographs of early GMH operations at Woodville show the rigid tests carried out on the first all-steel Chevrolet sedan built at Woodville in 1936. 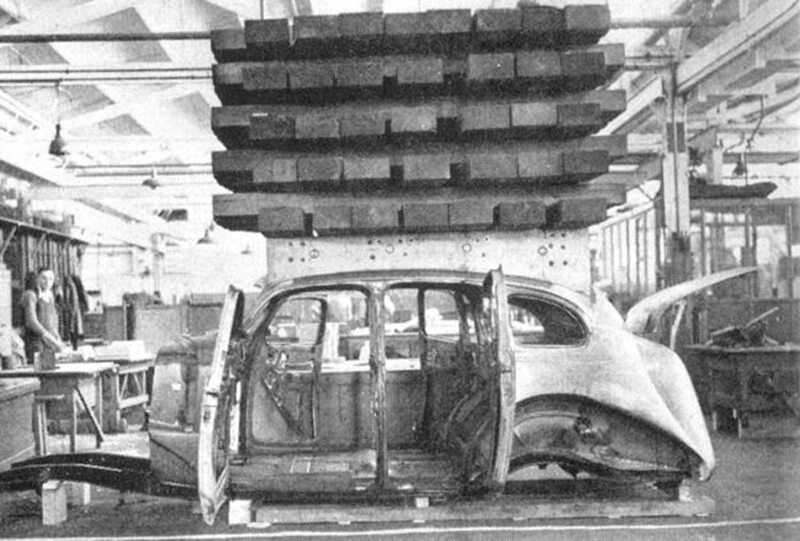 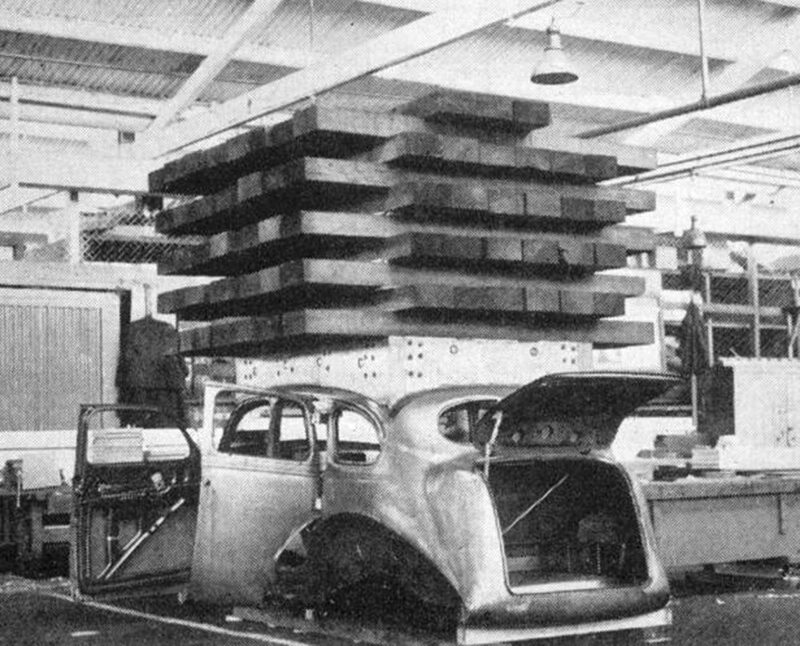 The photographs, loaned by W. J. HEWITT, of Woodville, show the great weight of hardwood timber balanced on the hood of the Chevrolet to test its structural strength. Finished bodies ready for packing.